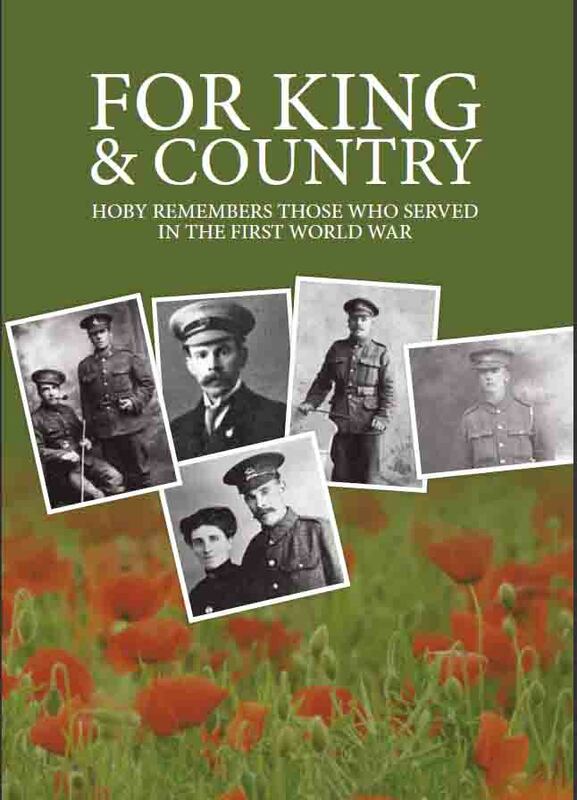 The Leicestershire village of Hoby is home to the Hoby and District Local History Society and for the anniversary of the outbreak of WW1, one of the items produced is a book entitled ‘For King & Country’. The book remembers those Hoby residents who served in the First World War and was distributed to all Hoby households in 2014. This is just one part of the centenary commemoration items produced by Nicky Stephen Marketing on behalf of the society.